Right down the block from home base is a glorious oasis called Brooklyn’s Prospect Park. The park boasts big lovely meadows, a zoo and Brooklyn’s only natural forest. They also host Celebrate Brooklyn, an entire Summer of top-rate performances. 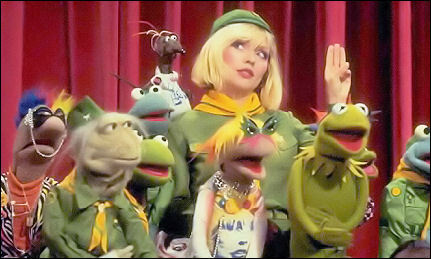 This year one of those performances will be The Muppet Movie Sing-A-Long featuring the Losers Lounge. The evening starts at 6:30, exploring the oddly great catalog associated with the Muppets. (Losers Lounge have also explored the equally oddly great Sesame Street catalog). Then the entire original Muppet Movie will be shown.